Items signed by John Hancock and other Declaration luminaries in University Archives’ Sept. 26th auction. A superb John Hancock signed manuscript from 1783 in remarkable condition, plus items pertaining to other signers of the Declaration of Independence and the Constitution, Judaica, JFK and family, Rev War, U.S. presidents, Napoleon and other foreign leaders, Bruce Lee and more will be in University Archives’ online-only auction, slated for Wednesday, September 26th. 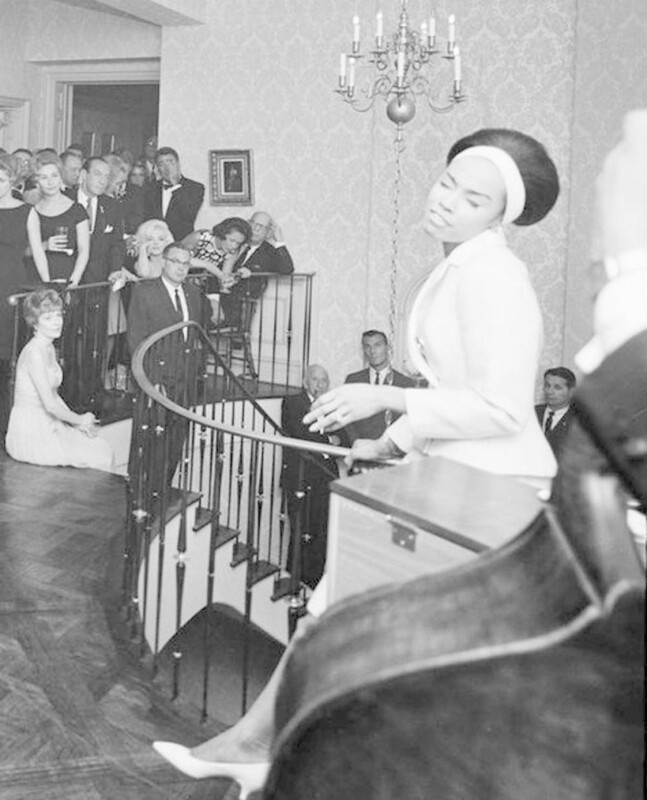 Photo from JFK’s after-birthday party bash in 1961 at the Krim residence, showing Diahann Carroll singing at a piano, with Marilyn Monroe looking on (est. $3,000-$3,500). Live bidding will begin at 10:30 am Eastern time. In all, 288 lots will be offered in a sale packed with rare and highly collectible autographed documents, manuscripts, books and relics. Internet bidding will be provided by Invaluable.com and LiveAuctioneers.com. 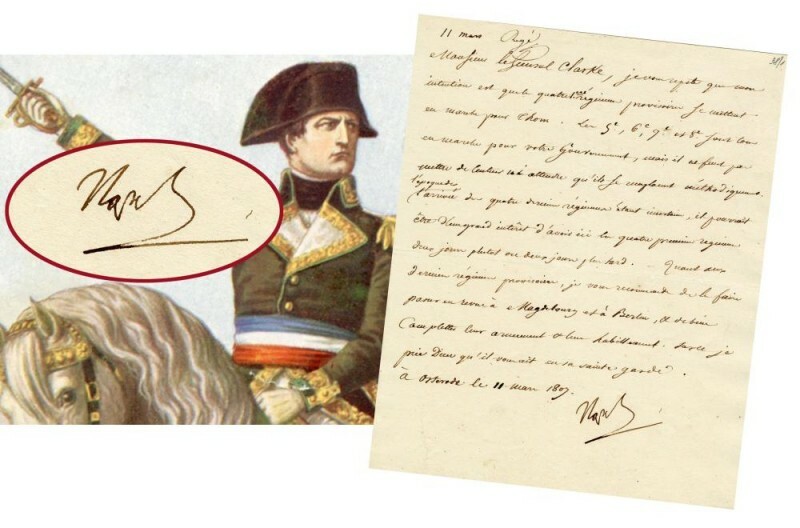 One-page war letter written in French by Napoleon Bonaparte on March 11, 1807, from Germany during the Polish Campaign, War of the 4th Coalition (est. $1,200-$1,500). As with all University Archives online auctions, this one is packed with important, scarce and collectible signed documents and other items relating to some of the most famous names in all of history.